Hollywood celebrities really turn up the heat when it comes to posing for shutterbugs. So, how could they miss the chance to get photographed on Halloween. May be that’s the reason some of these celebs take the All Hallows’ Eve too seriously and don’t even mind spending fortunes on their Halloween-themed costumes. However, there are 10 popular celebrities that took Halloween too far and turned themselves into eerily unrecognizable people. From Katey Perry’s Freddy Mercury makeover to Demi Lovato as zombie and many more, check out some of the spooky avatars straight from the Tinseltown. 1. 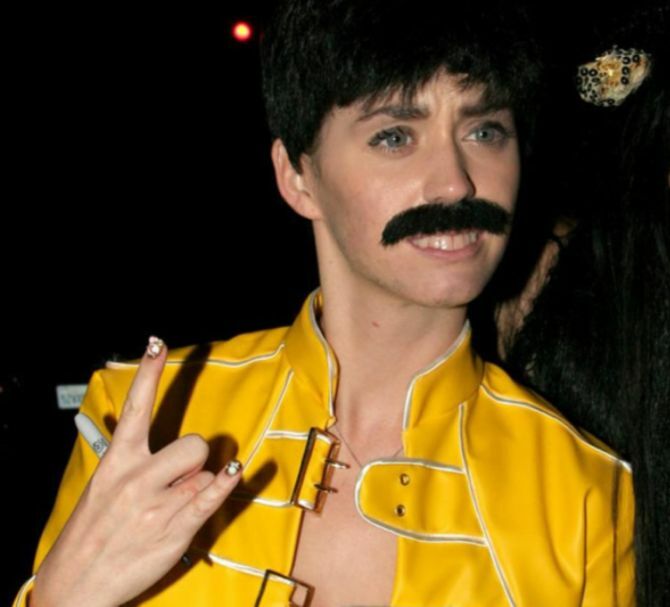 Katy Perry as Freddy Mercury: Inspired from her one of her favorite musical heroes, Katy actually transformed her look into Freddie Mercury. 2. Kate Hudson’s colorful face paint: Unless you look at her very carefully, you won’t be able to recognize her. 3. Miley Cyrus as Lil’ Kim: At first glance, you seriously cannot recognize this picture is of Miley Cyrus. 4. 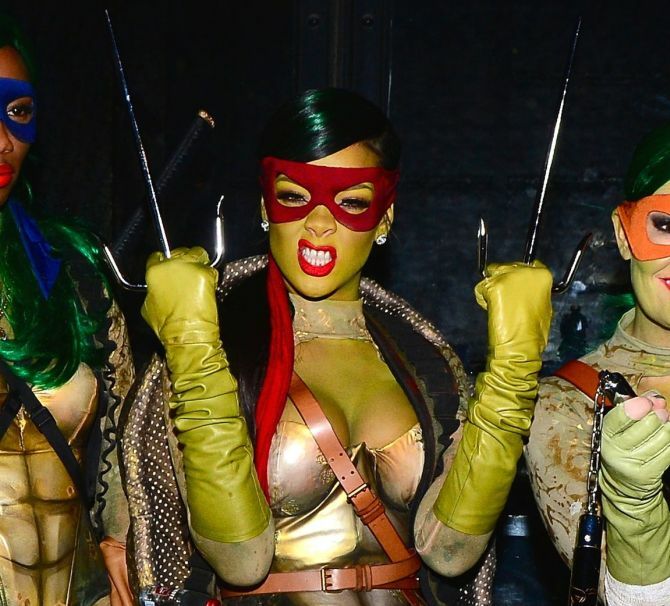 Rihanna as Raphael from Teenage Mutant Ninja Turtles: This cool celeb here is battling the rain in her Ninja Turtles’ getup. 5. Heidi Klum as an old person: Kate took everyone by surprise with her old lady costume. To complete the look, she even added fake wrinkled skin and veins to her body. 6. Michelle Trachtenberg as Sally from The Nightmare Before Christmas: In the full spirit of Halloween, Michelle elegantly donned the scary look. 7. 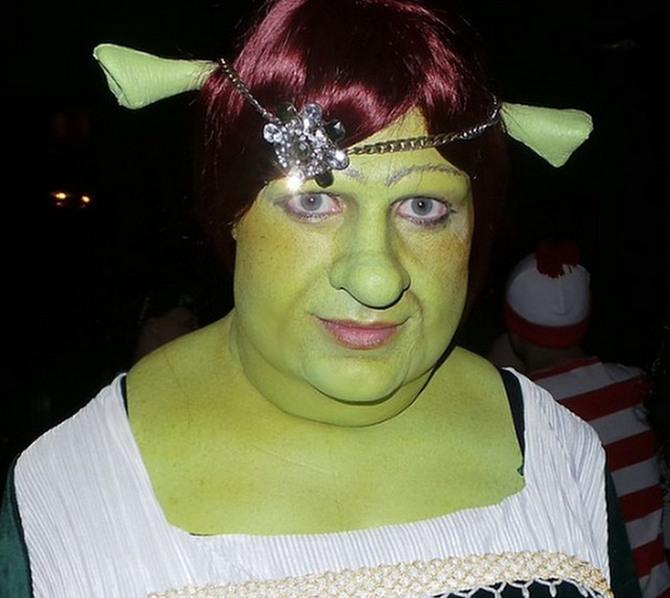 Colton Haynes as Fiona from Shrek: Colton’s look as Princess Fiona surely beats most of the themed-costumes on Halloween. 8. Shenae Grimes as Frankie Stein: Her scary doll-like pose, blue contacts and make up; all are adding eerie factor to her look. 9. Colton Haynes as Ursula: Few days back we reported about realistic Disney villains’ transformation. 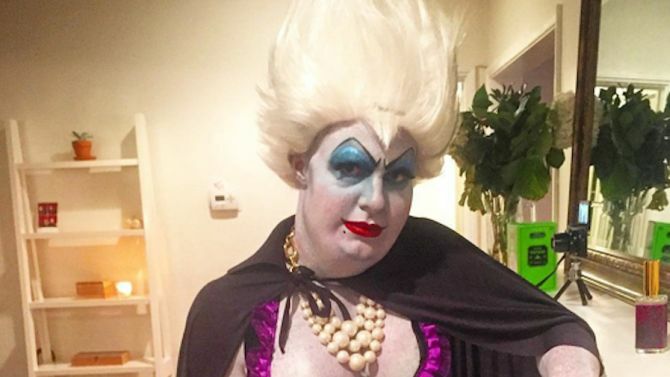 Colton’s look as Ursula could certainly be part of that devilish team. 10. 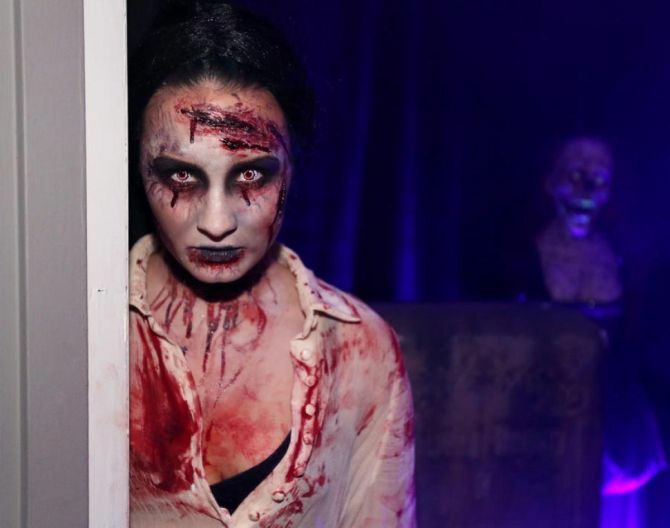 Demi Lovato as a zombie: Demi’s horrifying zombie appearance is surely going to scare the hell out of you. These were some of the best dressed celebrities on Halloween. Their frightening looks are going to haunt you forever. Which celebs’ Halloween costume you liked the most? Do share your opinion.